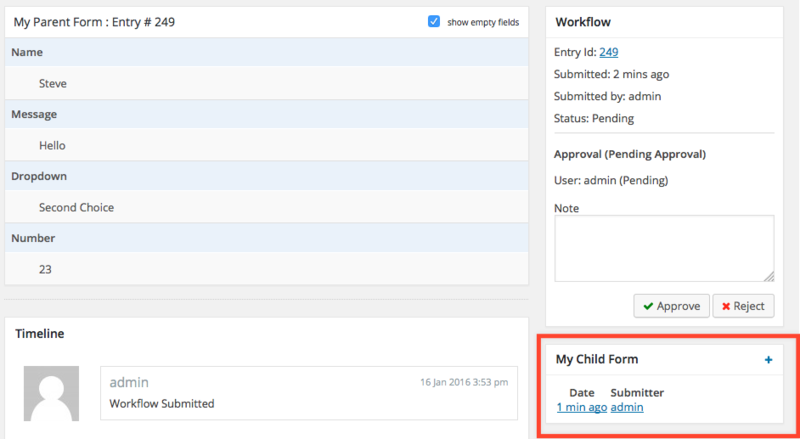 The Parent-Child Forms Extension allows Gravity Flow administrators to define Parent-Child relationships between forms so that entries relating to an entry can be kept together. For example, a loan application form is received (an entry for the Parent Form) and multiple people need to add reviews (entries for the Child Form). While viewing an entry for a Parent form on either the workflow detail page (admin UI or front-end shortcode) or the Gravity Forms entry detail page, a new child form can be submitted and linked to the current entry. All the child forms submitted for the current entry will be displayed in a box in the sidebar regardless of the step and regardless of the status. New child entries can be added for the parent entry by clicking on the plus button in the title bar of the child form box. This will open the form ready for submitting. Clicking on the child entry will take you to the detail page. The child entries will display a box in the sidebar for the parent entries and all the other child entries will be listed. 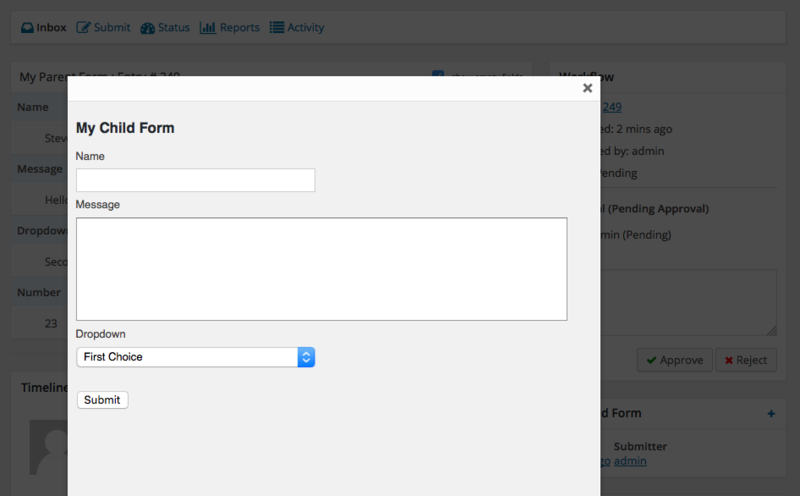 In the form settings section of the child form open the "Parent Forms" tab. Select the forms that will be parents to the form and update the settings.